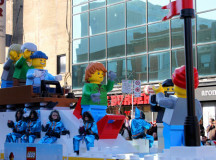 Parents squabbling, children gawking, this was Santa’s big day. 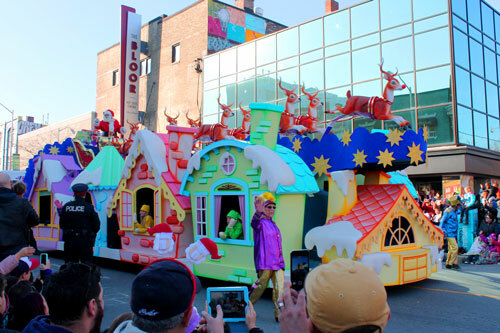 Though Christmas is still more than a month away, the 111th annual Toronto Santa Claus Parade shut down a chunk of the city Sunday afternoon. 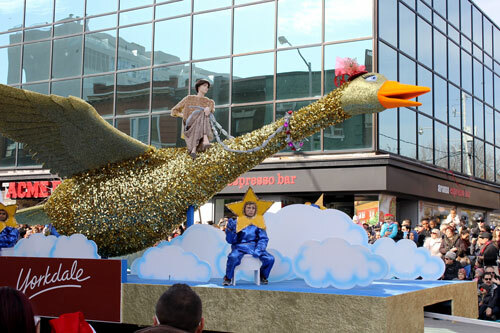 The parade has come a long way since its single float run in 1905. 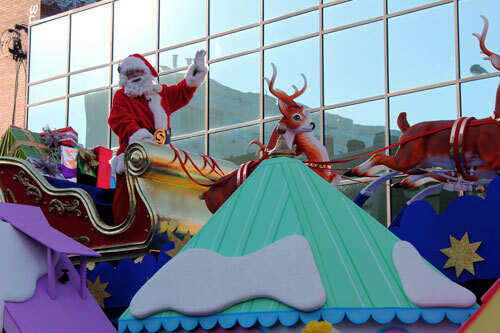 This year, Santa and his helper’s racked up nearly 30 floats. 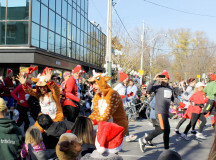 The festivities began with the third annual Holly Jolly Fun Run, a five-kilometre run from Bloor and Euclid to Maple Leaf Square. 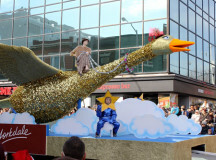 Despite being mid-November, the temperature sat at about 15 C, higher than the average temperature for this time. “As much as I would like to watch Santa in the snow, this is a pretty perfect day,” said Jenny Downey, while holding on to her one-year-old son, Arthur. 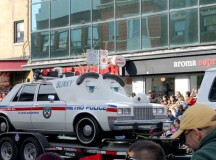 Once the run had wrapped up, police officers drove in circles, clearing all pedestrians off Bloor Street West, making way for Santa and his squad. 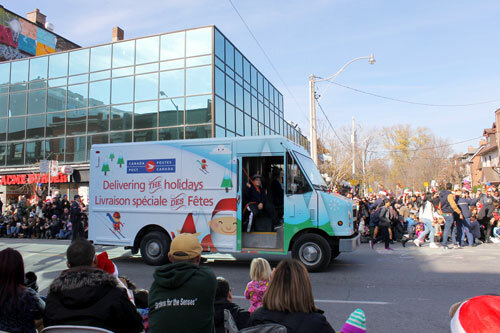 Canada Post workers collecting wish lists from optimistic children led the start of the parade. 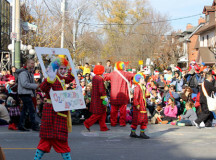 The parade began at Christie Pits, coming to a stop six-kilometres later at the St. Lawrence Market. 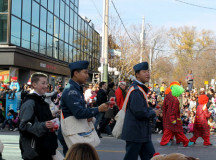 Air Cadets of the 180 Mosquito Squadron attempted to get the crowd into the holiday spirit by selling foam Rudolph noses, with all proceeds going to the parade and cadets. 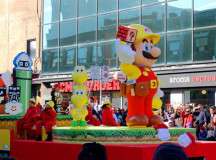 What the crowd seemed to be lacking for in enthusiasm, Chris Dias certainly made up for. 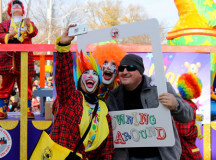 The father of three, who attends the parade every year with his family, believes in doing his part to boost holiday spirits. 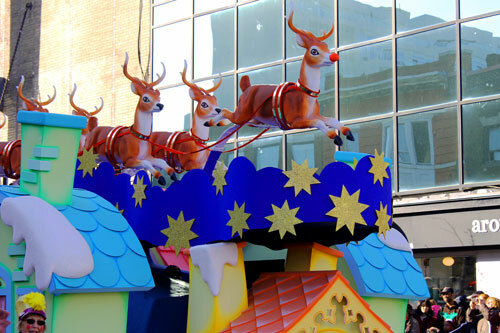 With his youngest son Romeo sitting upon his shoulders, Dias gleefully cheered on for the floats passing by. 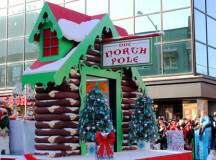 “Part of the fun of being here is to help make the kids get excited for Christmas,” said Dias. 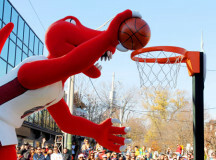 Even though Dias was heckled by others spectators who wanted him to be quiet, he did not let it deter his excitement. “Every time, I hear some telling me to ‘shut up’ I just wanna chant louder,” said Dias. 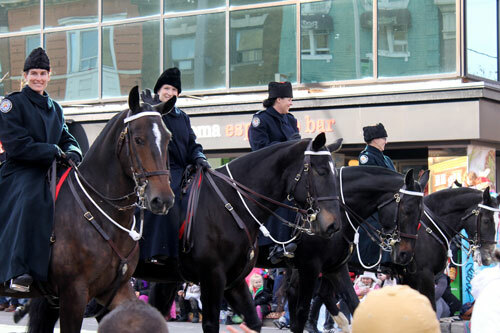 The marching bands took their cue after that, starting with a bagpipe rendition of “Jingle Bells.” However, that seemed to be the only song that all of the marching bands were playing. 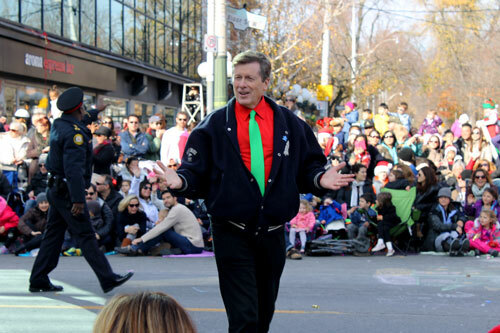 Mayor John Tory, who was part of the parade, was in good spirits (red shirt, green tie) as he smiled and waved to the crowd. 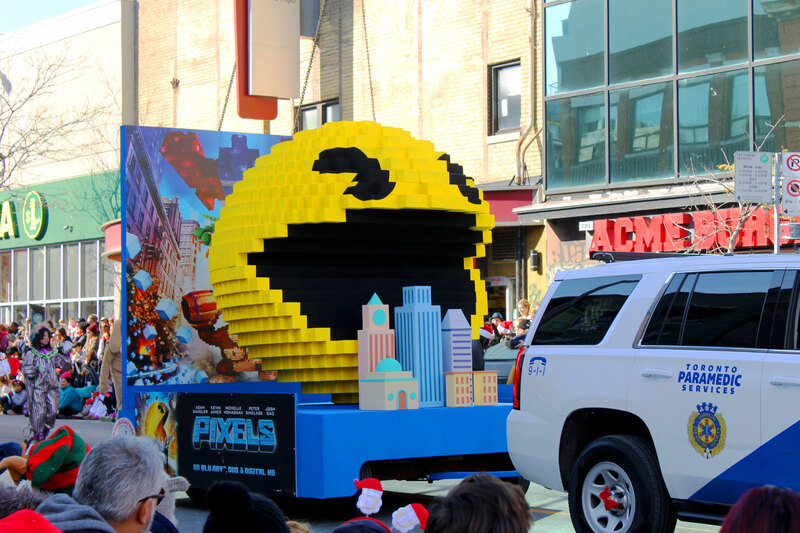 Among the floats that rolled by were Mother Goose, Thomas the Tank Engine & Friends, Disney’s Frozen, the Toronto Blue Jays and Raptors, Pac-Man, as well as various children’s television characters. 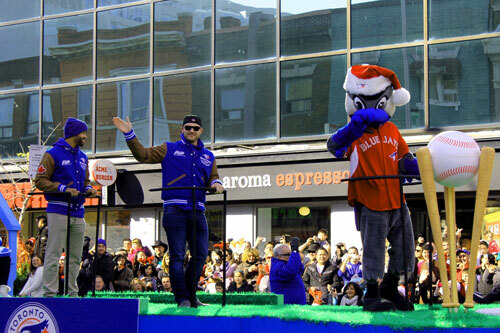 The Blue Jays float, which carried outfielder Dalton Pompey, pitcher Liam Hendricks and mascot Ace, got the biggest cheer out of the crowd. 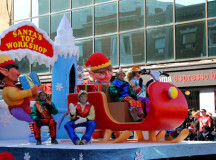 Santa’s Toy Workshop and North Pole float were some of the last in the parade. 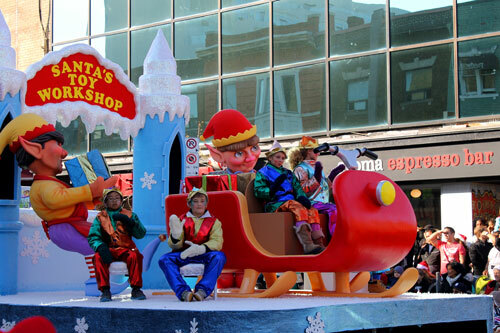 The latter featured a joyous Mrs. Claus who was joined by her elves. The real star of the show was the jolly man in red, St. Nick, led by his trusty reindeer, with Rudolph at the head of the class, of course. 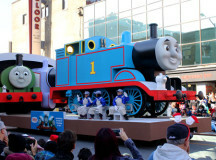 Prior to his arrival, many kids appeared to be bored or sleeping and parents seemed tired of tending to their cranky children, trying to keep them interested. 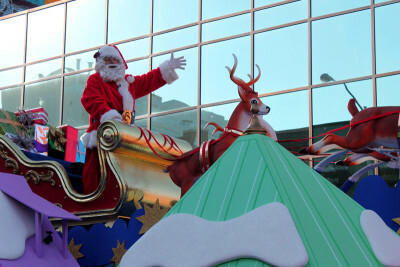 The sight of Santa reignited the Christmas spirit in all. 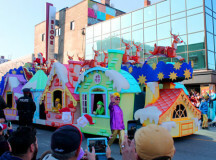 After nearly two hours of floats and marching bands, the restless children began to scream out “Santa” as he finally rolled by. 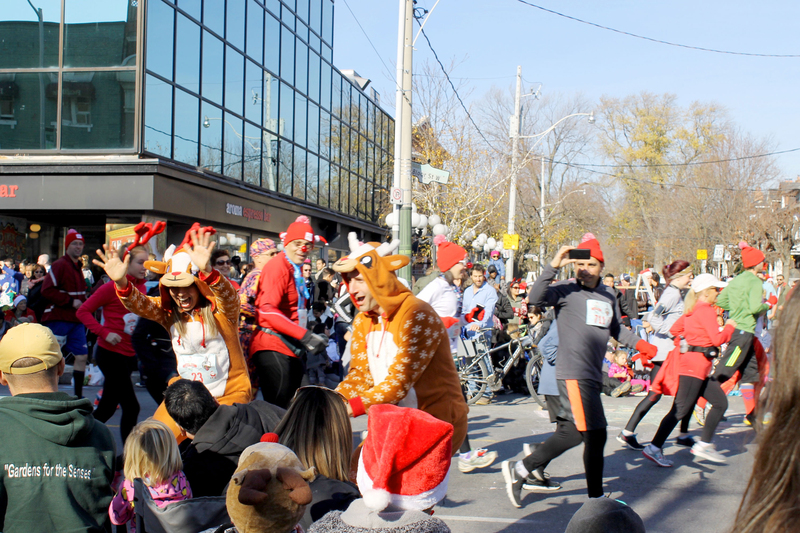 Festive runners of the Holly Jolly Fun Run. 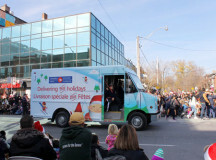 Canada Post was on hand to collect Santa wish list letters. 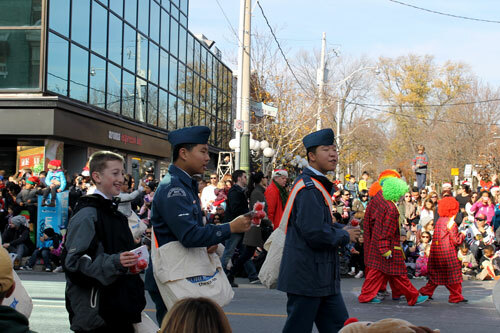 Air Cadets selling foam Rudolph noses to boost holiday spirit. 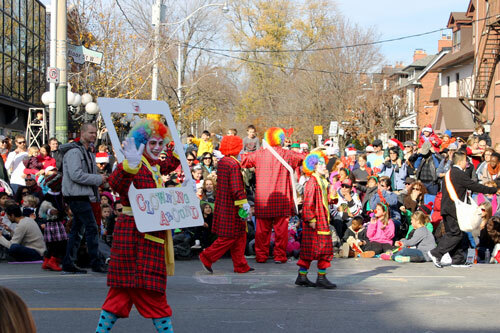 Celebrity Clowns bringing smiles to the crowd. 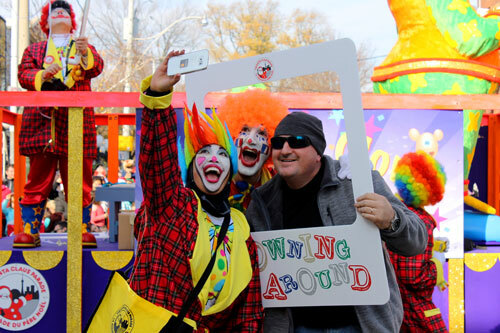 Celebrity Clowns stopped along the parade route to take framed selfie. 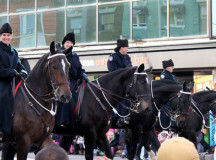 Toronto Mounted Police Officers trotting down Bloor Street West. 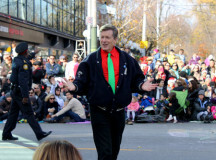 Toronto Mayor John Tory properly attired chatted with the crowds. 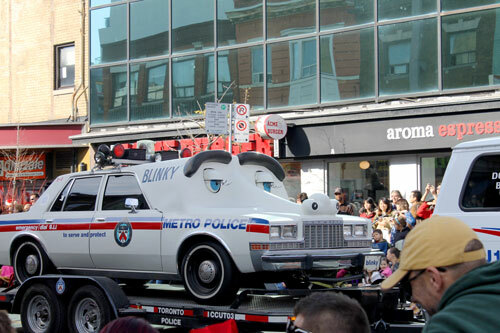 Blinky the vintage cop cruiser. 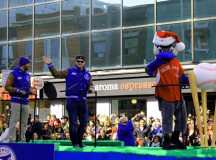 Toronto Blue Jays' outfielder Dalton Pompey, pitcher Liam Hendricks and mascot Ace certainly got the biggest cheers from the street. Pac-Man of the movie Pixels. 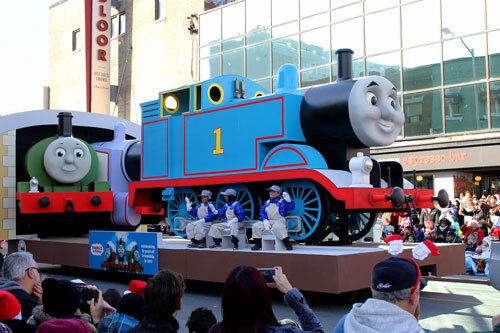 Thomas the Tank Engines and Friends. 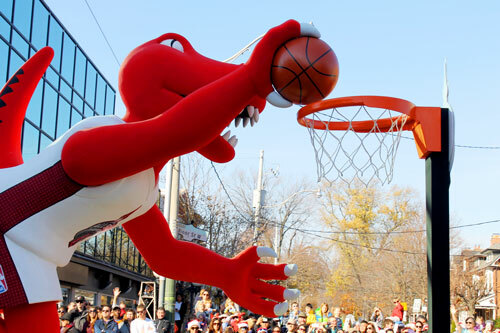 The Raptor scoring a dunk. 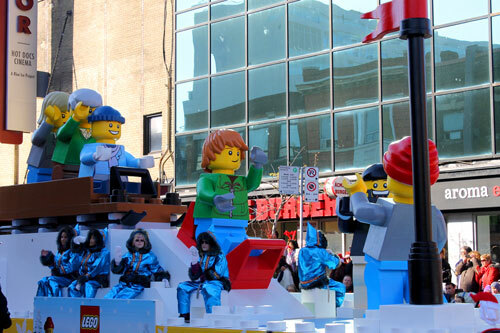 A sure to be popular Christmas toy, giant lego figures. 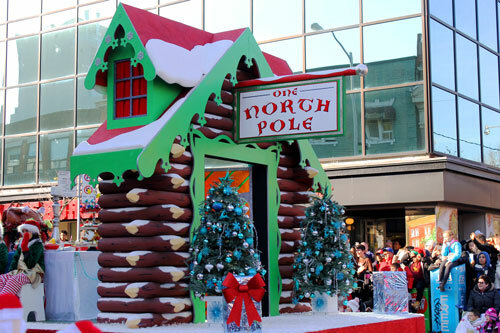 Before Santa can arrive, his elves have to bring the toys first. 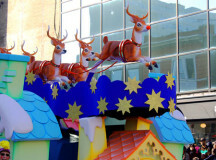 Reindeer led by Rudoplh driving the guest of honour. 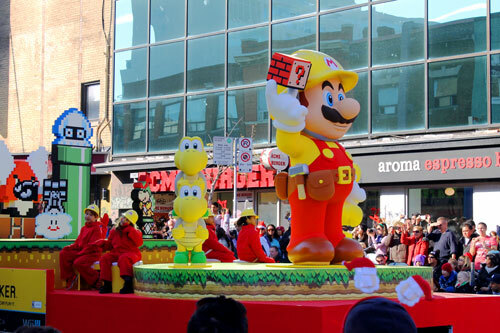 Finally, the man in red arrives. 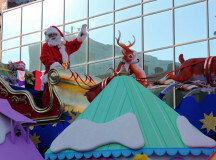 Jolly St. Nick wishing thousands holiday cheer. 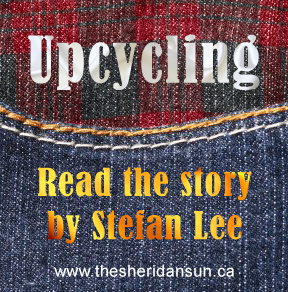 Added by stefanlee on November 17, 2015.